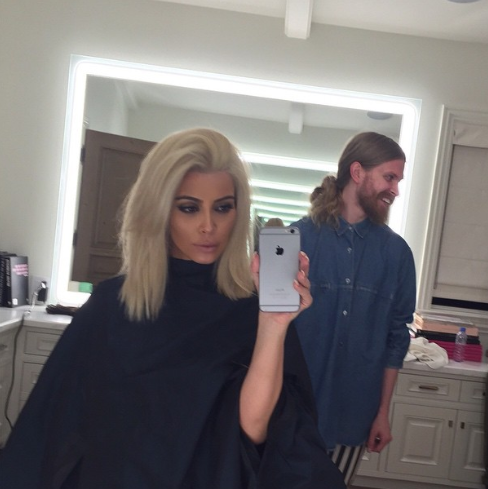 Kim Kardashian Looks A Little Different With New Platinum Blonde Hair (PHOTOS) - T.V.S.T. Normally, I try to avoid making posts about celebrities changing their hair color, because at the end of the day, who really f–king cares? But I just couldn’t pass this shocking transformation up. 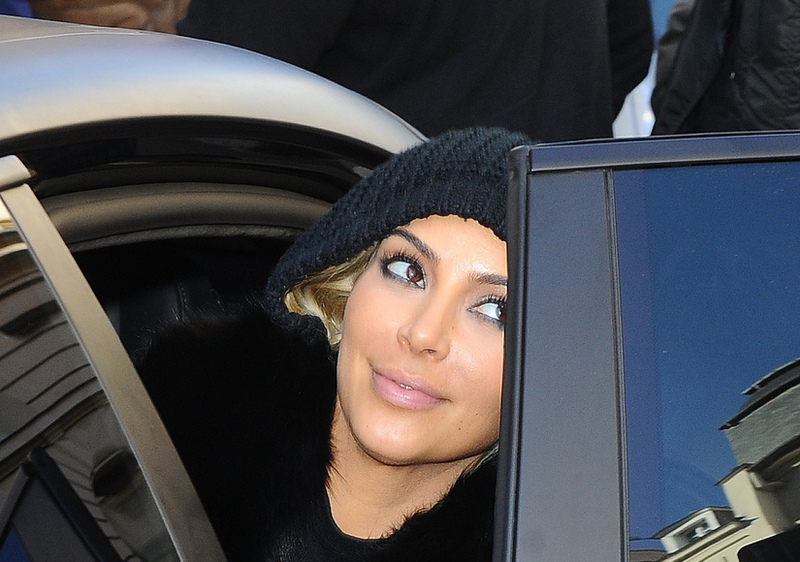 Kim Kardashian looks like a new woman after changing her hair color to platinum blonde. She first showed off her new hair color in the Instagram photo you see down below. The 34-year-old reality star also wrote a little message, explaining her inspiration behind this drastic change. But that photo doesn’t even show how different she really looks. 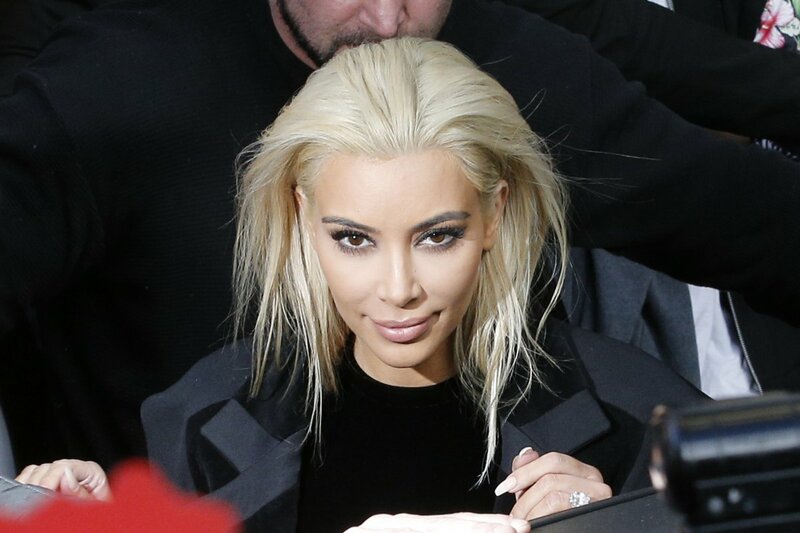 Yesterday, she went to Paris Fashion Week with Kanye West, and we were able to see her new hair in all its glory. Crazy, right? She looks like an alien who is trying really hard to fit in here on Earth, but before she visited this planet, everything she knew about it came from old rock concerts from the 1970s. What do you think? Do you like the new hair color?